No Trades, thanks. Price is firm, but fair. 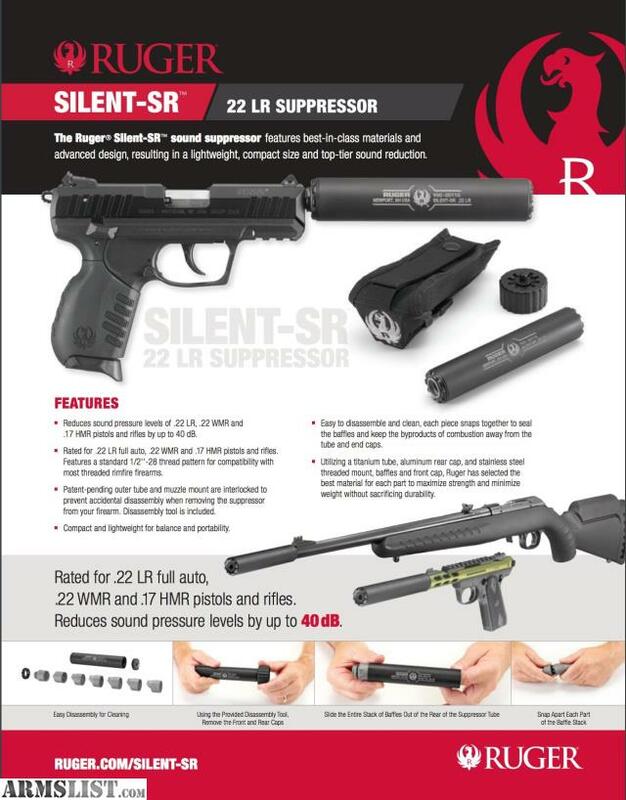 RUGER® SILENT-SR™, A .22 LR SUPPRESSOR DESIGNED AND BUILT BY RUGER. The Ruger® Silent-SR™ sound suppressor features best-in-class materials and advanced design, resulting in a lightweight, compact size and top-tier sound reduction. It was designed and built by Ruger utilizing the very latest in fluid dynamic simulation and computer numeric controlled (CNC) machining equipment. 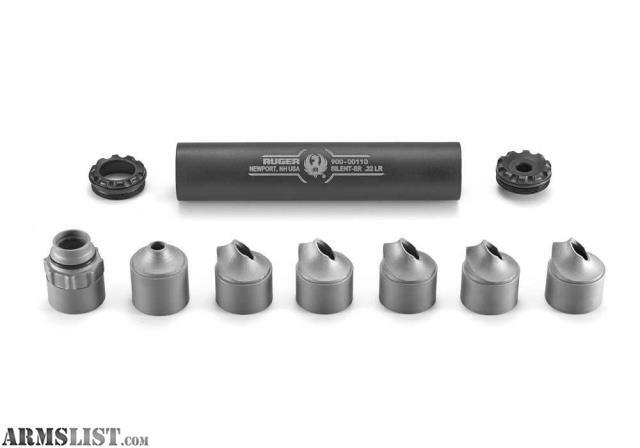 The Ruger® Silent-SR™ is easy to disassemble and clean. Each piece snaps together to seal the baffles and keep the byproducts of combustion away from the tube and end caps. It is also strong and light, utilizing a titanium tube, aluminum rear cap, and stainless steel threaded mount, baffles and front cap. Ruger has selected the best material for each part to maximize strength and minimize weight without sacrificing durability. 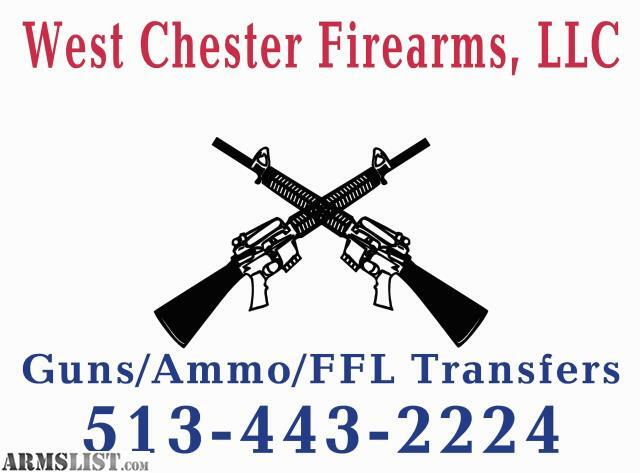 Rated for .22 LR full auto, .22 WMR and .17 HMR pistols and rifles. Features a standard 1/2''-28 thread pattern for compatibility with most threaded rimfire firearms. Patent-pending outer tube and muzzle mount are interlocked to prevent accidental disassembly when removing the suppressor from your firearm. With a 5.37" length, 1.06" diameter and 6.3 oz weight, the Silent-SR™ is compact and lightweight for balance and portability.